Today three new Aspire Speeder products will be introduce to you, please pay attention! 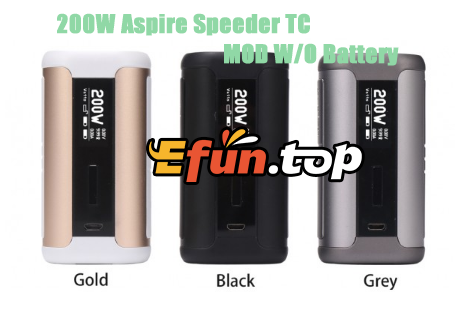 We present the latest product of Aspire - Speeder TC MOD. The ergonomic design limits this functional MOD in a compact size. Works with dual 18650 batteries, Speeder supports a maximum output power of 200W. The 0.96-inch OLED display can rotate automatically to adapt your turning. 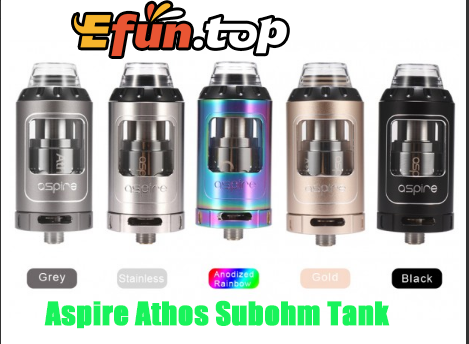 Athos tank from Aspire is an innovative sub ohm tank with 25mm diameter and 4ml e-liquid capacity. Together with convenient top filling, large adjustable bottom airflow, unique penta-coil head and tri-coil head, Aspire Athos will bring ultimate flavor and tremendous vapor to vapers. Aspire Speeder is a compact and ergonomic vaping kit including a 200W Speeder MOD and a Athos tank. 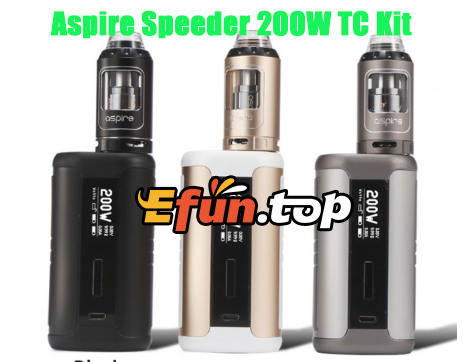 Aspire Speeder features an auto rotate 0.96-inch OLED screen, various working modes (VW/VV/BYPASS/CPS/TC/TCR) and firmware upgradeable.